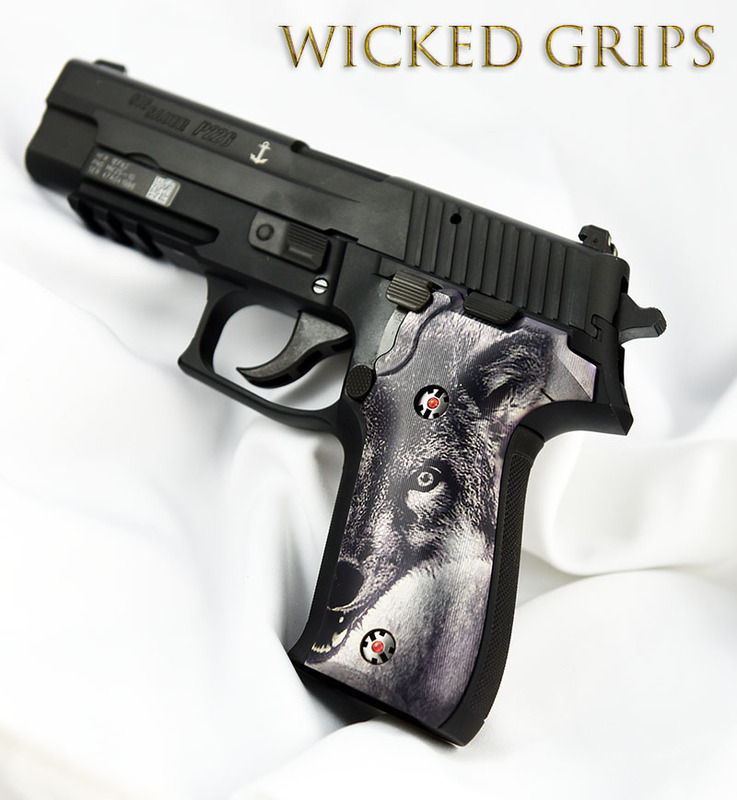 Fitment: Our 3 piece grip set fits the modern SA/DA Sig P226 pistols. 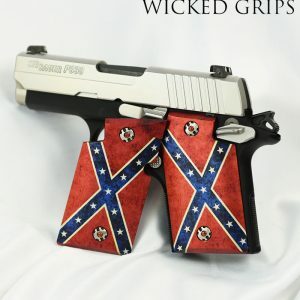 It can be made to fit the older West German guns with fitting of the backstrap by a qualified person. Due to the difference in the older spring seat frame area, the grips will NOT fit without modification on the older German guns. Our Wolf art was created in house by artist Kade Strange. The art is then type II anodized into the machined aluminum panels. 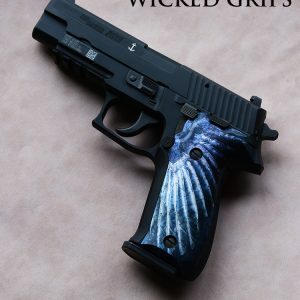 Our panels are manufactured in a unique 3 piece design that combined smooth aluminum sides, with highly textured G10 backstrap. 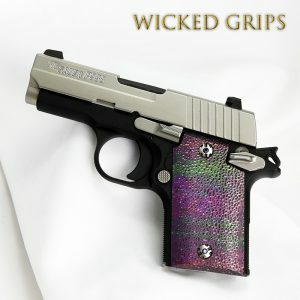 This design gives the grip set the best of both worlds, grip texture along with stunning visuals. 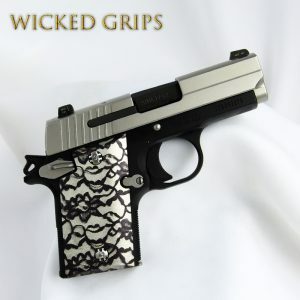 Each Sig 226 pistol grip set set we create at Wicked Grips is based on hours of art and design work. 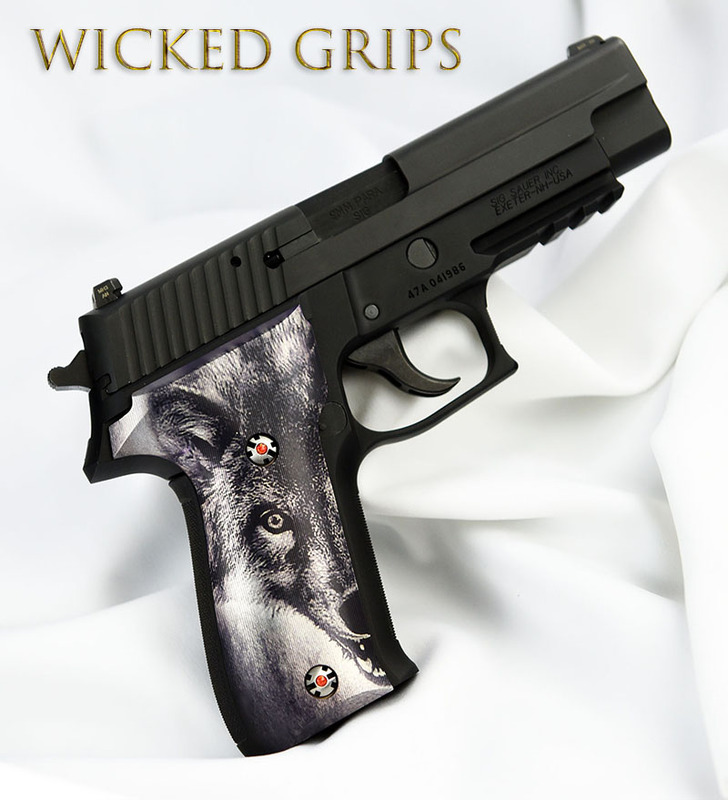 Every art piece is created to flow with the overall shape of the grip and the pistol, resulting in a look that no one else can offer. 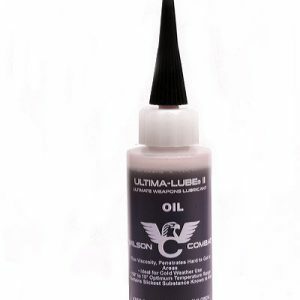 While looks are important, the set itself is built from the highest quality materials right here in Flint Michigan. We are an art studio, and are always working on creating new ideas.